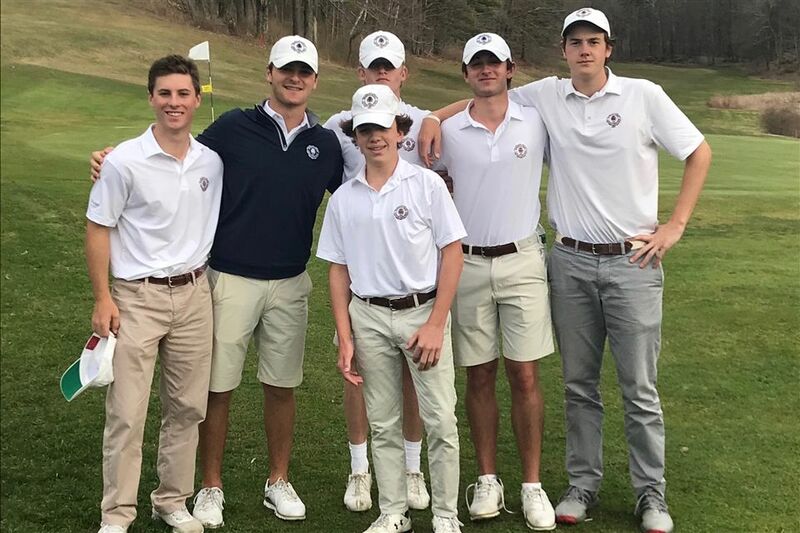 Using a shuffled line-up, the Bruins showed remarkable grit and determination to master the nine holes as well as five other schools. The Bruins bested second-place Salisbury by 21 strokes. Last year, Salisbury slipped by Brunswick for the title by one stroke. Chase Caffray led the Brunswick contingent with a one-under par 34. Matt Camel followed one stroke behind Caffray, as Charlie Marvin carded a 36. Bladen Smith finished with a 38, as Owen Hayes shot a 39 and Matty Dzialga finished with a 43.